This is the draft organization index and preliminary table of contents from the old Open DQ project. 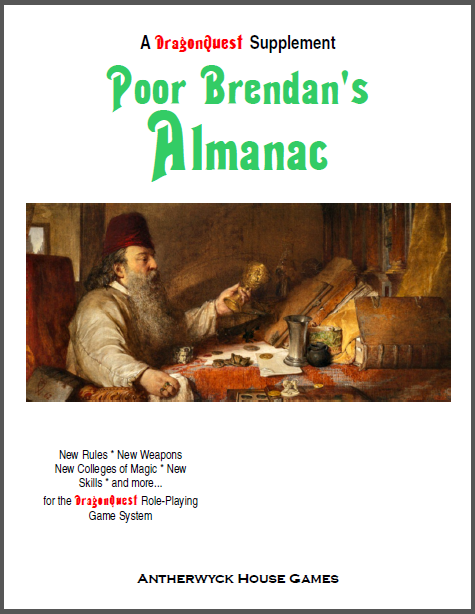 Parenthetical numbers in the Table of Contents indicate the corresponding rule number in the SPI Second Edition version of the rules; AW = rules from Arcane Wisdom; PBA = rules from Poor Brendan’s Almanac. Note that the new numbering provided here is a draft version and is subject to further change and renumbering. Subsection 100 of each rule section should be set aside for introduction, terminology, description, etc. x-100 should be section contents. x-120 should be term definitions. Subsection 200 of each rule section should be the primary rules for the section. Subsection 500 of each rule section should be specialty rules for the section (specific skills, magic colleges, etc). Subsection 800 of each rule section should be secondary or optional rules for the section. 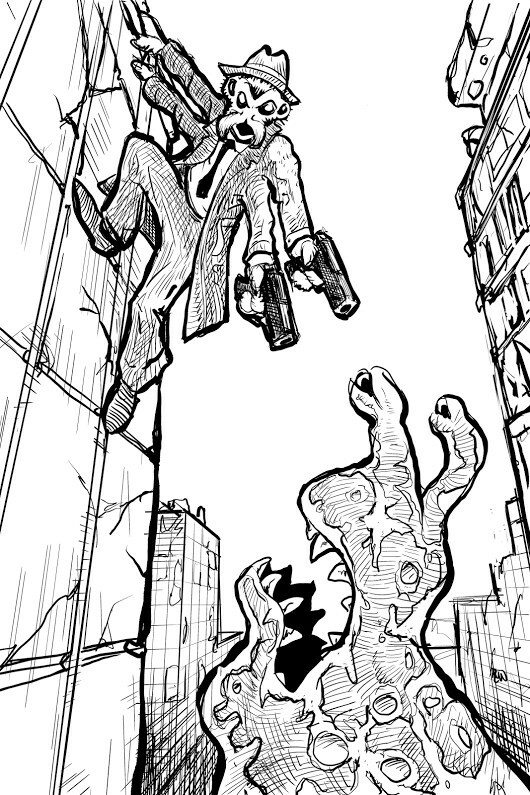 This is a preliminary draft and subject to almost certain revision. There’s a significant followup to my recent thoughts about an open source DragonQuest that needs to be pointed out. 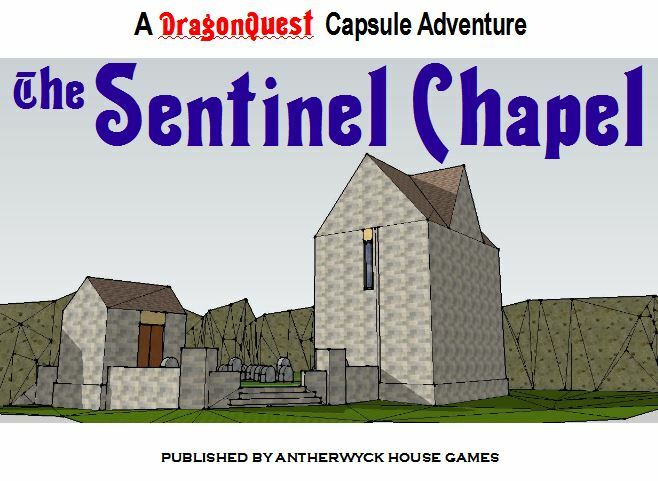 The Seagate Adventurer’s Guild is the largest group of DragonQuest players, with a long-running, interlocked campaign with multiple GMs. And they’ve been playing for over 30 years. I had known that they had a draft set of rules incorporating their house rules, but it’s been a few years since I checked in on their site. I had known about this version several years ago, but they had asked to have it pulled from the Yahoo DQ group files. Than, Mike Davey reminded me about them in response to my last post, so I went and checked out their version of the DragonQuest rules. Frankly, they’ve already done much of the work I was talking about. It’s a complete document; almost 150 pages. The Seagate rules are “copylefted under the GNU Public License, version 2.0,” so this is already an open-source version of the DQ rules. These rules aren’t a straight one-to-one corresponding set. There are some sections that are not included, like any creatures, or the lists of Greater Summoning demons. And there are also many new additions, including several new Skills and new Colleges of Magic. Elements are reorganized, though there’s a generally similar order of character creation, combat, magic, and skills. All in all, I think a DQ player or GM could pick it up and start using it fairly readily. This really changes the scope of next steps. What I had originally planned, once there was a base draft in place, was a reorganization of the rules to allow for revisions and substitutions. The numbering system of the DQ rules doesn’t work well if you want to add a new Skill or a new College; there are no open spaces. But if the rule numbering was more like a library card-catalog system, then it would be easy to keep all the related stuff organized together in the same section. All the character-related stuff could be section 100, combat section 200, and so on and so forth. I’ve written up a few thoughts about the nature of DragonQuest and what makes it unique and compelling as a game system and setting. In short, I see DQ as a Renaissance game versus D&D as a Medieval game. If there’s going to be a new version of DQ, understanding its strengths and direction is important. The whole article is posted at Dragonquestrules, but since there’s comparatively much more traffic here (as well as links out to other sites), I’m also putting out a notice about it here. I hope you’ll take a minute to check it out. After some recent discussion about things DragonQuest, it occurred to me that I haven’t done nearly enough hex-grid maps. So this is a first step in remedying that deficiency. 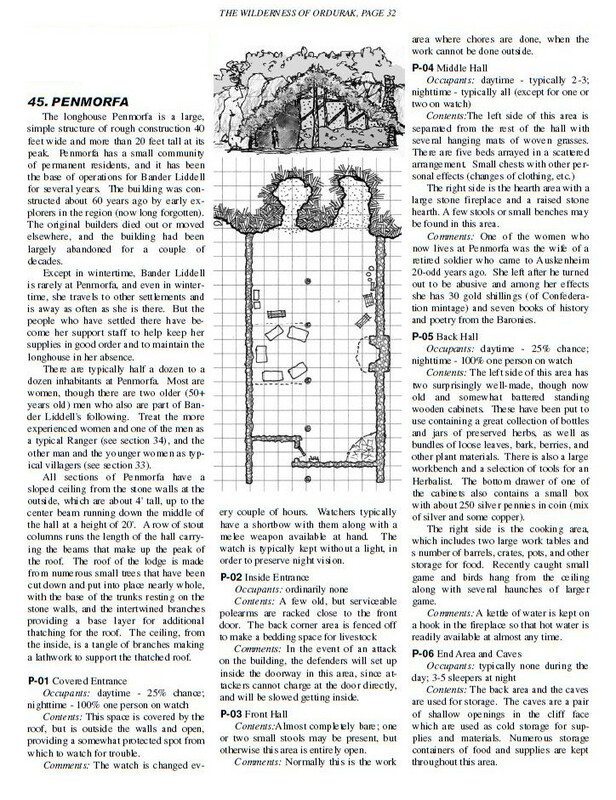 I think that the under-caverns read well enough that a GM could readily use this without having to do lots of figuring out of what is where, and what the map contains. 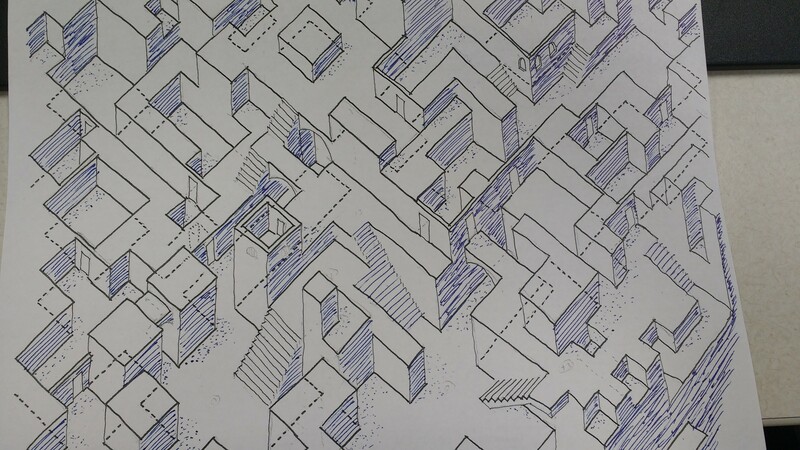 If there’s interest, this could turn into another Un-Furnished Dungeon, though being hex-gridded rather than rectilinear probably dooms it from the start. So I’m not going to go into a lot of description of the particular features here, for the most part. But there are a few features that probably bear a little explaining. The spiral stair at the center of the large cavern leads up to the building above. The ceiling of the cavern is roughly 20′ high, so the whole stair is more than 40′ up into the building. 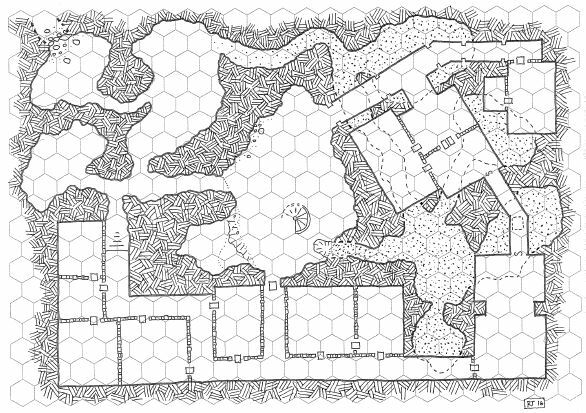 The rubble at the upper left can be treated as solid wall, if the GM wants to keep this as a self-contained location, or the passage beyond may connect to something else, if it’s to be part of a larger setting. 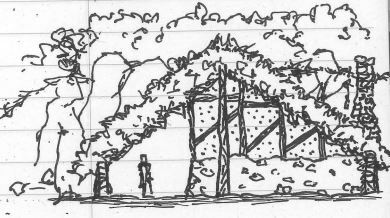 The stones could also be blocking the passage beyond, but the PCs might discover that there is a way to get through if they move enough of the stones and debris away. There is a floor trap in the secret hallway at the far right side which falls about 15 feet to the cavern room below. 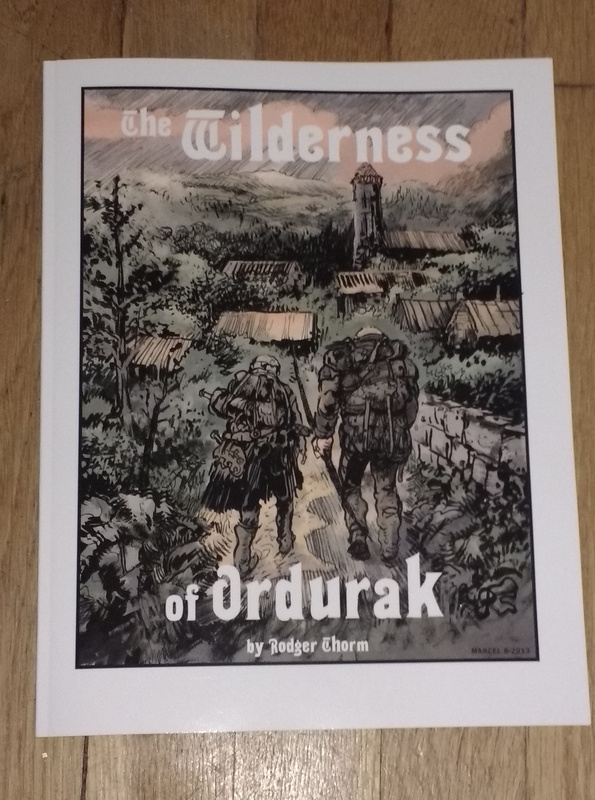 This is a page from the Wilderness of Ordurak adventure. 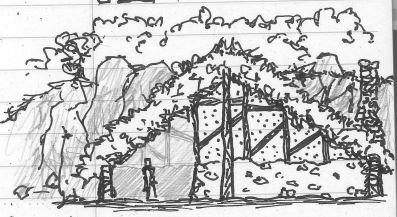 With the picture and map and the general descriptions, it probably works fairly well as a standalone encounter location, even if some of the specifics are incomplete. This is what came of the Wilderness sketch from a few months back. This is written for a larger DragonQuest adventure, but other than changing a couple of money references, I think it could readily be used for just about any game system. And you could also take the picture and the map and re-purpose it for a completely different kind of encounter. This is being shared for personal use, and I am happy to have the link shared if you want to point someone else at this, but please don’t distribute copies of this. I know it’s going to happen, regardless, but I’d rather it wasn’t you that does it. Thanks! 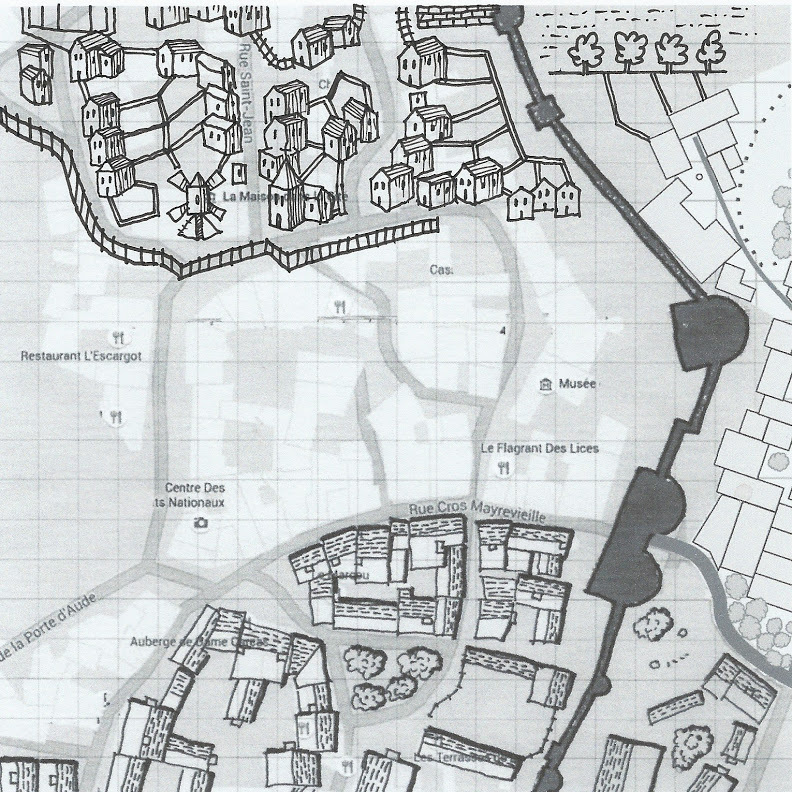 And, if you do use this in your game and have some notes about how it went (or just if you read through it and have some feedback), I’d be glad to hear about it.